When I saw RWBY on Rooster Teeth, I gave it a try because it looked interesting. As it turns out, I enjoyed watching it. The animation is cool and the plot seems like it could get interesting. I also really like the music, namely the intro. All in all, it's obviously not the best anime out there. The people in the background are just silhouettes and the show is on a pretty low budget. However, I think it's pretty interesting and for 5-8 minutes of my time per week, I'm not complaining. p.s The show improves with every episode. 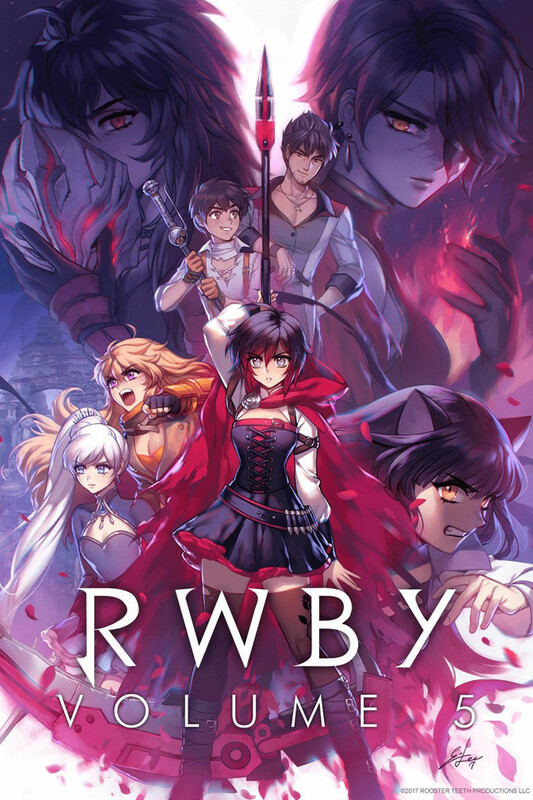 RWBY is not about the definition of anime per se, but an encouragement to the artform we have been watching for years from an American perspective. The episodes are a mix of light hearted fun, likeable characters, and a little bit of genius for the fight sequences. The story follows four girls at a boarding school that specializes in the training of cutting edge warriors that protect society from an encrouching horde of monsters. Initially they have to overcome the differences on the inside before they can unify to overcome evils without. Rather than harbor preset expectations about voice acting, 3d cell rendering, or episode length when compared to the Japanese production houses that have been creating wonderful entertainment media for decades now, I think an open mind is needed. This isn't a first class trans pacific jetliner, it's a jet propelled ninja backpack, it isn't the latest Sony Vaio, it's the first Macintosh. It isn't a watershed moment for every anime critic, but I think the essentials are more than enough present to encourage what it already has going for it. For a show about killing monsters, please don't be a monster. For a show called Ruby please don't toss out the diamond in the rough. Rwby's Pros out way it's cons and it's only getting better. Music:Top notch, Jeff Williams delivers and even if you despise everything else it's soundtrack is incredible. Action: Monty Oum's bread and butter and it shows. Excellent fight choreography and clearly Monty and the laws of physics had a falling out at some point because Rule of Cool is in full effect and it's all the better for it. Story: So far, nothing we haven't seen before, school for fighting monsters, creatures of darkness, If you are into any type of fiction then you've seen the premise. That said, it's way to early to be certain of where it may go and with multiple seasons confirmed there is ample time for them to subvert there premise or introduce more original plots. Also, it needs to be said that even if they don't do that, not having an original premise is NOT automatically a bad thing. If it's executed well that's all that matters. Voice Acting: Better then the Black and Yellow trailers would have you believe, much better, but not perfect, most of the principal cast are new to voice acting so there delivery can be somewhat stiff and lack emotion, but again from the trailers to episode 1 to episode 8 you can hear the improvements. Overall: it still needs work, but know new show doesn't. Flaws in animation and some amateurish voice acting don't take away from the Incredible music, awesome action and so far, a likeable cast of characters. It will fix what is not great in time and like I said its already only getting better. I'll preface this by stating that I was a fan of Roosterteeth before RWBY, so I am biased towards their work. In my opinion, RWBY is good. Produced by a small studio, it goes above and beyond what one might think it could be. The animation during everyday interactions can be a bit rough and seem a bit disjointed (Ruby can vaporize cookies on contact with her mouth). The voice acting can be a bit forced in places, especially in the trailers. And there are quite a few cliches. But RWBY has a lot of heart. It is very easy to love the characters and they each are memorable and special. The fight sequences are crazy (in a good way) and the animation there is much more fluid and fun. And the music is FANTASTIC! The show really picks up momentum and gets better and better towards the end. The episodes are short, but it's nice for when you just have a bit of time and you want a fun little watch that will make you laugh. RWBY is good. It's not God's gift to mankind or the best thing since sliced bread, but it's fun and cheerful and enjoyable and good. When I first tried to watch RWBY I was shocked at the 3d animation. But after about 10 minutes of watching it becomes normal, it is very immersive and provides for very brilliant action scenes. The character development is there for all main characters, (and well done), plot line is clear and understandable, and the characters are extremely likable and enjoyable to watch. I definitely recommend anyone to watch this show.